Major differences between American and British English. 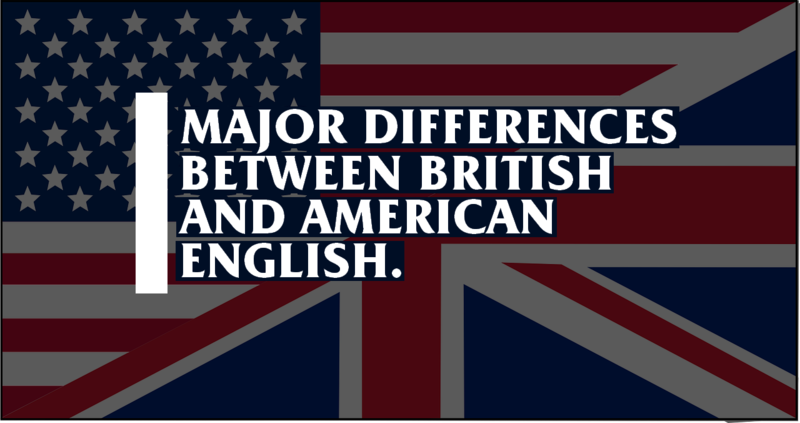 Americans and their British neighbors may share a language, but that does not mean they speak exactly the same version of it. There are many unsubtle differences between British and American English that make each one unique, from small spelling changes to entirely different words for common concepts. GrammarCheck ingeniously illustrated these differences in a beautiful infographic which we brought to your fingertips. Check it out and share with us any other differences you think the infographic left out. Enjoy! Thank you for stopping by. Please share the infographic if you think it deserves. Have a good day. Careful with this one: Bum bag/fanny bag. I think handbag has become common to use in the US as well now to refer to a purse. There are a lot of inaccuracies in this. I don't know which Americans the author has been hanging out with, but words like taxi, handbag, mad, pavement, pub, tap, and timetable, which he says are British are all in regular use in the U.S.. He also failed to mention several very common words, like trashman/garbage man (each of which is more common than garbage collector), and freeway/expressway (as variations of highway). And while I'm sure many Americans refer to a wardrobe as a closet, many other Americans consider that a mistake. A closet is built into the house and is not moveable, like a tiny room, but a wardrobe is a piece of furniture that is movable.